BREXIT has little to do with the European Union and all the more with the never-ending war within the Tory party, according to Shetland MSP Tavish Scott. Here he makes the case for why the UK should stay in the EU. I believe the world we live in demands an international approach. On keeping people safe, tackling environmental change or standing up to the world’s bullies, nations have to work together. Europe has done that since the Second World War. The European Union is a direct consequence of the horrors of war. Is it perfect? Of course not. Does it get things wrong and try to do too much? Yes. But there are still more advantages than downsides. Especially in this 21st century. So I would rather we remained part of the EU. So would the majority of Shetland folk and people across Scotland, London and many parts of England and Northern Ireland. But I accept that the UK voted to leave the EU two years ago. The overall result was close but clear. Just as those who favour an independent Scotland continue to argue their case, and they have every right to, I will continue to make a positive case for our country to be a full, participating and responsible member of the EU. But a changed and reformed EU. Since June 2016, the UK government has had a responsibility, a great responsibility to construct a new relationship with Europe. One that recognises the rights of people, the need for trade to keep people in work and the importance of international work that keeps us safe. The UK Government led by Prime Minister Theresa May cannot agree. They do not know what they want. What kind of trading arrangement with Europe? How peace in Northern Ireland will be maintained? How to secure the rights of Britons who live in Europe? And the many people whose place of birth was a European country but who now live in Shetland and contribute so much to our islands and our way of life. The trading arrangement is fundamental to our future: to our fish landings and seafood production, to our beef and lamb exports, to the recruitment of European professional people to our health service, hospitality industry and other key sectors. But nothing is clear. And here is why. The UK Government – the Conservative party – are split about what these arrangements should be. They have been arguing about this since the Brexit referendum. Some Tories want to stay in the EU. The former chancellor Ken Clarke believes the UK departure will be a disaster for jobs at home, our relevance across the world and weaken our ability to tackle the international challenges the globe faces. More Tories accept that the UK has voted to leave but want a close trading relationship with the EU. Take cars. Nissan employ thousands in the north east of England. Their cars are exported to Europe. Sensible Tories recognise that those manufacturing jobs will continue if the UK’s trade arrangements allow that to happen. And it could if the UK remains in the EU single market and customs union. But that is where the Tories divide. For the hard line right wing Brexiteers, leaving means leaving everything. In their world of international fantasy we will replace our biggest market – Europe – with new, as yet not negotiated trade deals with countries outside Europe. The USA for example. Quite how we will negotiate with Donald Trump is not clear. But Trump’s trade policy is that we should buy American and in return we might be allowed to export the odd bottle of Shetland Reel gin to New York. How will this political debate finish? Who knows? There is a crucial meeting between the UK and the EU at the end of June. By October, this trading deal is meant to be done and dusted. But it is not sorted within the UK Government. Not remotely. So we have no idea what our government will do to resolve, not the challenges the UK faces, but the internal war within the Conservative Party. There is no better example of this chaos than fishing. The Tories promised that as of March 2019, we would leave the Common Fisheries Policy (CFP) and we would assume all the powers of a coastal state over fisheries management. But that has not happened. For at least two years from 2019 and probably longer during the so-called transition period the CFP will continue. Even worse no Scottish or UK fisheries minister will be entitled to attend the monthly EU fisheries meetings. 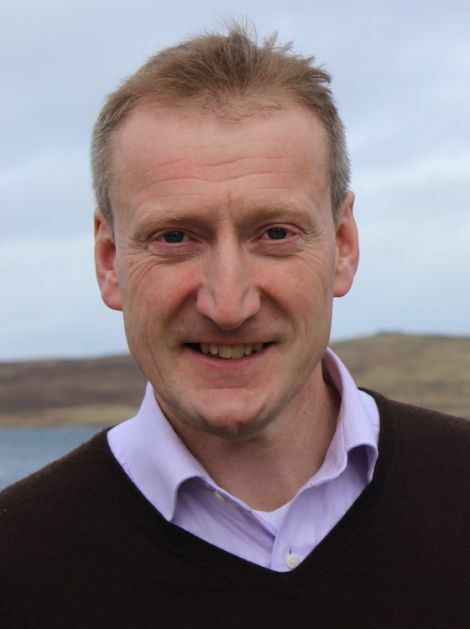 Our industry – the most economically important to Shetland’s future – will have no active government representation or ability to say no to policies that may not be in our interests. That is a disaster! A disaster entirely of the Conservative’s government’s making. Whatever is thought of the CFP – and no fishermen I know has a good word for it – there is no sense in having a policy without the ability to change it. And yet that is now where we are. The industry was assured by the Tories that fishing would be dealt with separately from any other issue. That has not happened. So what chance fishing quotas, relative stability and above all, access to the North Sea and west coast waters being traded as part of a wider UK – EU deal? Will the Irish border, Gibraltar or the UK car industry be more important? Who knows? But the one certainty is that fishing is not in a separate, parallel world unaffected by the ongoing negotiations. We export all kinds of seafood to Europe. Shetland needs a trading arrangement that allows that to continue. That is why the never-ending war within the Tory party is bad news for all of us. Seafood like so much else crosses the Channel. It is of course time sensitive; fish must reach its market as quickly as possible. We cannot have fish lorries sitting in miles of traffic on England’s south coast while the UK Government negotiates what border arrangements need to be put in place in France. And yet if the current negotiations do not finish in time, that is what could well happen on 30 March 2019. My party, the Liberal Democrats, has argued that the people of the UK should be given a vote on the final Brexit deal. All the uncertainties that currently exist may be sorted. Maybe everything will be alright. Exports to Europe will continue. Worldwide trade deals will be in place. But whatever these arrangements are, you deserve to decide if the final arrangement is in Shetland, Scotland and the UK’s interests. You should know the implications of leaving the EU and the arrangements for our future. At the moment no one can say what these implications will be. That cannot be the right way forward for our country.